Does the German have a point or is he simply trying to deflect the pressure? On the eve of the 2018/19 Premier League season, Jurgen Klopp has brushed aside any suggestions of his Liverpool side being termed title favourites, with a hilarious reference to the Rocky movie franchise. Most pundits and even some of the club’s fans feel that after splurging over £175 million in the summer transfer window, the Merseyside outfit are among the title favourites for the Premier League and even the UEFA Champions League. 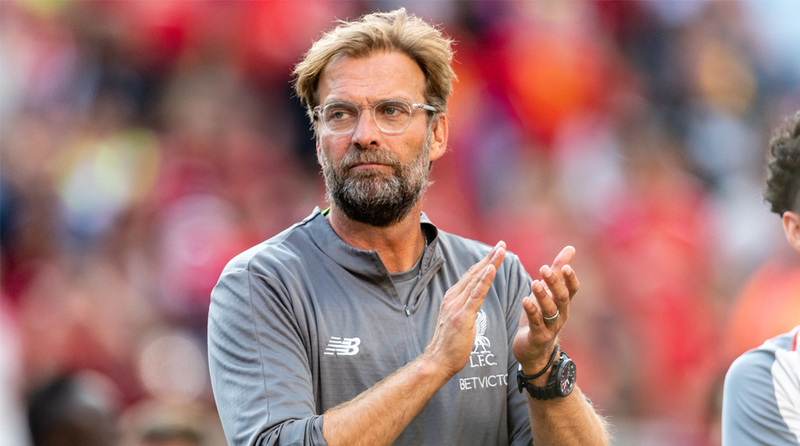 However, Klopp disagrees with that view as he pointed out that Manchester City, the defending champions, have strengthened significantly as well. “The plan is that we really go for it (the Premier League). We want to be, it’s clear for ages, champions of England. But what about the other clubs?,” Klopp opined at his pre-match press conference on Friday. While City have not spent as much as Liverpool in this window, they have been among the biggest spenders in the English top-flight for a few years now and a majority of their squad looks likely to remain the same in the years to come. Hollywood icon Slyvester Stallone has essayed the role of Rocky Balboa in the Rocky series, which initially told the tale of a plucky southpaw who punched above his weight to become the heavyweight champion of the world. Liverpool certainly aren’t a virtual unknown from the slums of Philadelhpia, but maybe Klopp has a point. The wage bill of both the Manchester clubs is considerably more than Liverpool’s, as is capital outfit Chelsea’s. Regardless of his downplaying with the media, fans are hopeful that the German manager will bring home the club’s first league title since 1990 this season. They open their 2018/19 Premier League campaign with a home clash against West Ham United on Sunday (1800 GMT).